We are of the view that the tribunal exceeded its jurisdiction in giving the directions that it did, the bench observed. 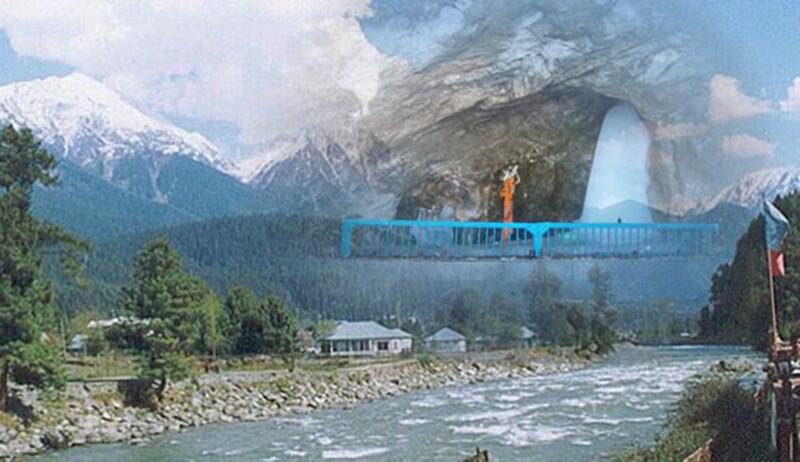 The Supreme Court has set aside National Green Tribunal orders that directed the pilgrims to maintain silence while standing in front of the Amarnath Ji Maha Shivling – a natural formation in the cave, observing that it exceeded its jurisdiction. In our view, the matter having been taken suo motu in the manner in which it has been, particularly since the application filed before the Tribunal pertained to the Shrine at Vaishno Devi, we are of the view that the Tribunal exceeded its jurisdiction in giving the directions that it did, the bench of Justice Madan B Lokur and Justice Deepak Gupta said while considering the appeal filed by Amarnath Ji Shrine Board. The bench observed that the matter was virtually taken suo motu by the National Green Tribunal and directions passed on 13th December 2017 which was clarified subsequently on 14th December 2017. However, the Bench allowed Gauri Maulekhi, who had apparently filed an original application with regard to the shrine at Vaishno Devi to file an application pertaining to the Holy Cave in Amarnath before the National Green Tribunal in accordance with law. A day after media reports about the National Green Tribunal banning chanting of mantras and jayakaras in Amarnath, the Tribunal, vide another order, had clarified that it is only while standing in front of the Amarnath Ji Maha Shivling that a devotee shall maintain silence, barring during aartis, and that its order is to ensure there are no adverse impacts of noise, heat, vibrations etc. upon the Amarnath Ji Maha Shivling, so that the pilgrims coming in the later part of the pilgrimage are able to have darshan of the ‘Shivling’.